“Learning about Learning” is a class available on Coursera. It is created and taught by two neuroscientists, and made available by the University of California, San Diego. It covers how the brain stores information, techniques on how to learn better, and bad habits to avoid. It is completely free to the public, but if you want to support the program you can pay $50; doing so will also make a certificate available after completion of the course. I learned about this course about two weeks ago and immediately joined. Learning how to learn more efficiently is something that I have been interested in for a long time. One of the things that I have learned as an adult is that being smart doesn’t really matter; what is important is persevering and working efficiently. With my MBA program coming up, this was the perfect time to brush up my knowledge on how to learn! I finished the class and got a 97%. I enjoyed the class so much that I actually paid $50 to support the program, and got a digital certificate. What did I learn? Well, all of that is below. I went back and cleaned up all of my notes for easy review. There are two modes of learning, focused and diffused. Focused mode: This is the learning mode for when you are focused intently and trying to learn something. This is the default state of learning for when you are having a study session. Diffused mode: This is your brain’s passive learning mode. Your brain actively processes information in the background, and this is that mode. This is the mode where your brain is the most creative, and has the best ability to look at things in a big picture. Reward – the pleasure of doing the habit and the goal of the habit. Belief – the concept that your habit is something that will benefit you. You procrastinate when you are about to do something you don’t want to do. This aversion can actually be tied to biological processes. When people procrastinate, parts of the brain that are associated with pain are activated. Focus intensely for 25 minutes. This will help against procrastination. Your brain knows that there is an end time for you to focus, so it is more accepting to being able to focus for 25 minutes. You want to avoid focusing on the product when procrastinating. When focusing on the product, it will be harder to accept the task at hand. Thinking solely about the process triggers the part of your brain associated with pain. You want to focus on the process, or the doing of tasks at hand, when you need to do something. Set a timer for how much of a task you will do, and the results will follow. This is one of the reasons why pomodo is effective. Cue avoidance. Avoid the cue that triggers procrastination if possible. Turn off the internet or stay away from your phone. Set a hard deadline. Make sure you know when to end working at the task at hand. This can be 25 minutes, 30 minutes. This allows your brain to be able to focus at the task at hand. Give yourself a reward to look forward to. This can be a coffee or a personal bet that you have with yourself. Believe that changing your procrastination habit is something you can do. Even if you have a lot of working memory available, there are cons. People with less working memory are able to be more creative because they don’t hold onto memories so tightly. It takes practice to learn things. The more you learn, the more you will be able to learn. Don’t lose self-confidence. Imposter Syndrome is when you feel like you are inadequate and that people will see your weakness, even if you are well prepared. Memories are not fixed but a living part of your brain that changes all the time. When you recall a memory, it changes through a process called reconsolidation. Consolidation is when memories from the active memory are taken and stored in long term memory, specifically the dendrites of neurons. When the memory is put back into long term memory again, it is called reconsolidation, and will be stored with new context and information. In essence it is a brand new memory. How to form a chunk? All the details are already in front of you, the job of your brain is to put things together in a way that is usable, and figure out why steps are taken the way they are. Put your undivided attention on the knowledge you are trying to chunk. The final thing needed to maintain a chunk is to be able to have context about the knowledge. Being able to repeat the same information in different situation. It’s good to keep a list of tasks to do. If you don’t keep a list, then your mind tries to keep a memory slot open for the task to do. This is utilizing your muscle memory. Writing concepts down physically has been shown to improve retaining it as a memory. Use an acronym, metaphor, or analogy. Think of a familiar place, like your home. This will become your memory palace. Try to imagine placing the things you are trying to remember in your memory palace. It is hard to use memory palace technique at first, because it takes practice. Imagine walking around your house finding the items when you are trying to remember it. The best way to catch your “blind spots” is to work with others. Did you work with classmates on homework problems, or at least check your solutions with others? Did you attempt to outline every homework problem solution before working with classmates? Did you participate actively in homework group discussions (contributing ideas, asking questions)? Did you consult with the instructor or teaching assistants when you were having trouble with something? Did you understand ALL of your homework problem solutions when they were handed in? Did you attempt to outline lots of problem solutions quickly, without spending time on the algebra and calculations? If there was a review session before the test, did you attend it and ask questions about anything you weren’t sure about? When you get a test, briefly read every question to get your diffuse brain processes running. Start with the hardest problems first. If you can’t solve them, move on to the easy ones. While you are working on easy problems, your brain will work on the hard ones in diffuse mode. This strategy helps prevent you being stuck for too long, and to avoid Einstellung. This strategy only works if you studied for the test. It also doesn’t work for everybody. We used to think that new brain cells never get created. Actually, new neurons are born every day. Neurons that aren’t used, die. New experiences develop and rescue neurons. Neurons in your cortex carry information about what is happening around you and what you’re doing. Acetylcholine : important for focused learning and paying close attention. Leads to having a good long term memory. Dopamine : sensation of joy and happiness. Helps in predicting future rewards and is behind the feeling of motivation. Serotonin : chemical behind risk taking behavior and social life. The hippocampus is important for learning and memory of facts or events. Glial cells are supporting cells in the brain. An astrocyte is a type of glial cell that provides nutrients to neurons, maintains ion balance, and repair injury. Studies have shown that these may also help in learning. There is evidence that the brain is still developing even into your twenties. When you are stressed your body releases cortisol, which makes your heart races and your body sweat. Deep breathing while putting your hand on your stomach. Telling yourself that you are excited, not scared. Practice stress relieving to get better at it. Note that going through the course is a lot better when it comes to learning all of this information. So if you are really serious about improving your ability to learn better, make sure to take the course! 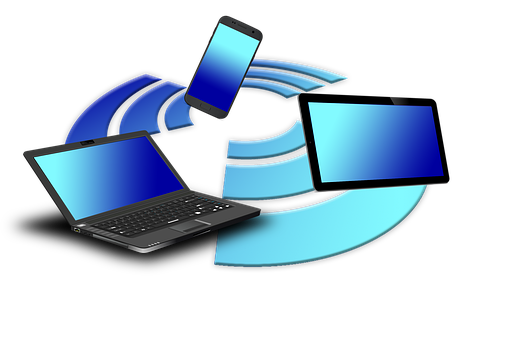 MDM stands for mobile device management. The goal for MDM is to allow companies to manage the devices that end users have. The term “MDM” very specifically means the configuration and control of mobile devices. What configurations are allowed by MDM? Different configurations are available for different operatins systems. Here are some configurations that available for iOS end users: Email, Wifi, VPN, restrictions, passcode, webclips, and more. What controls are allowed by MDM? iOS has built in several MDM actions that allow MDM aministrators to control devices. This includes: locking a device, clearing the passcode of the device, remote wiping the device, deleting email privileges of a devices, and more. “Policy” is a very special term in MDM. It can be confusing, especially in a large company, to what a policy is because the word “policy” means different things. Many people see the term “policy” as meaning rules or guidelines that have to be followed. In MDM however, a “policy” is a set of data that can be pushed to a mobile device. There are two types of policies: application and configuration. Configuration policies are what configures and restricts a device. Application policies are what allow a device to download mobile applications. What are the pre-requisites for MDM to work? Trust established between MDM server and a push cloud service. Trust established between a mobile device and the MDM server. The command gets routed to a cloud service. This service is unique for each type of device. Apple devices use the cloud service APNS. Google devices use the cloud service GCM/FCM. Blackberry devices use the cloud service RIM. Windows devices use the cloud service WNS. The cloud service takes the MDM command and sends it to the mobile device. The mobile device receives this command (or finds it when checking into the cloud service), and then reaches out to the MDM server in order to receive further commands. The mobile device then executes whatever MDM commands received from the MDM server.